This is a 8 day safari which will make you explore the four main destination of Tanzania, the tour will make you adventure into the heart of the Tanzanian northern circuit, you will enjoy great numbers of animals, predators as well as carnivores like the African lions. Ngorogoro crater and Serengeti national park have the greatest number of lions in Tanzania. You will explore all these four destinations including Lake Manyara, Serengeti national park, Ngorogoro crater as well as Lake Ndutu. This day will give you an ideal opportunity to have an optional Hot Air Balloon flight which will be followed by a delightful breakfast. After this, head to the south eastern side of this park were you will visit the Barafu Kopjes as well as the Ngare Nanyuki River area, for both morning and afternoon game drives. You will find the lions here as well as the cheetahs, theis Ngare Nanyuki River area is known for bearing lots of game. This is the last day in Serengeti national park, we shall again visit the Kopjes on our way out of the park and also do a morning game drive in the samba kopjes area. These kopjes were named after the lions which use these kopjes for lying and bathing in the sun. You will as well get chance to view some baboons, giraffes as well as bird species. We shall then head to Lake Ndutu which is also an alkaline lake, it’s used by wide array of wildlife species especially for drinking water. You will enjoy an afternoon game drive in the lake area were you will view variety of animal species. 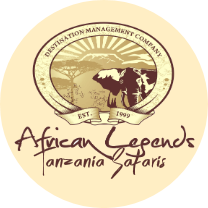 We shall depart after enjoying breakfast and proceed for a morning game drive in Naabi Hill area before proceeding to Ngorogoro carter via Olduvai Gorge which is also known as “the cradle of Man Kind”. This Gorge lies on the site of the Ancient Lake which is covered by think layers of the volcanic ash that is carefully preserved by the world’s earliest records of mankind and was dedicated by Leakey family. This museum displays the discoveries and the remarkable finds. After, proceed to Ngorogoro crater, which is one of the densely crowded game areas in the world and is home to over 3000 wildlife species. We shall arrive at the lodge in time for lunch and spend the afternoon for your own leisure time. Have breakfast and after descend 600m in the crater which will give you a chance to view lots of wildlife for a full day tour. 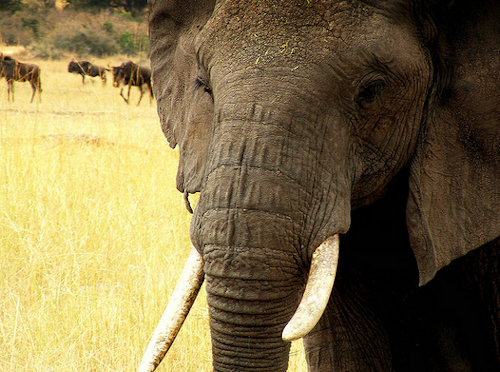 Have chance to witness the unforgettable spectacle of African wildlife, this area is supported with all round year of water supply as well as fodder. This park harbours lots of wildlife species including the zebras, buffalos, eland, warthogs, hippos, elephants, black Rhinos, herds of Wildebeest, hyenas, jackals, lions, cheetahs as well as the elusive leopards. We shall then return to the lodge for lunch and enjoy your afternoon at leisure. Have your breakfast and after start your journey back to Arusha town, have your lunch at your arrival in the town. The guide will either drive you to catch your flight or drop you at your hotel.